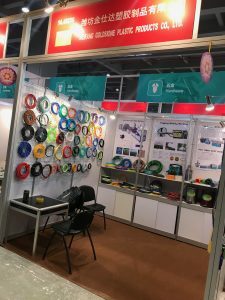 Home›Company News News ›Have you attended the 125th Spring Canton Fair in Guangzhou, China? Have you attended the 125th Spring Canton Fair in Guangzhou, China? It is a comprehensive international trade event with the longest history, the highest level, the largest scale, the largest variety of commodities, the largest number of buyers and the widest distribution of countries and regions, and the best trading effect in China. It is known as “China’s First Exhibition”. Our company manufactures all kinds of hose production equipment at the same time, and also has special mist sprayer for agricultural production. Our R&amp;D department is also developing more intelligent machines for agriculture. The same working time, the work efficiency will be twice as much as the current agricultural machinery. 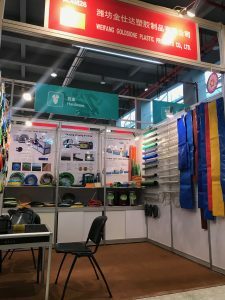 At the exhibition, you can learn from my colleagues about our company’s PVC lay flat hose, PVC garden hose, PVC suction hose, PVC steel wire hose, PVC fiber reinforced soft hose, PVC air hose and the equipment and fogging misting machine for producing various hoses. GOLDSIONE GROUP Ltd is a manufacturer specializing in hoses and hose machines.